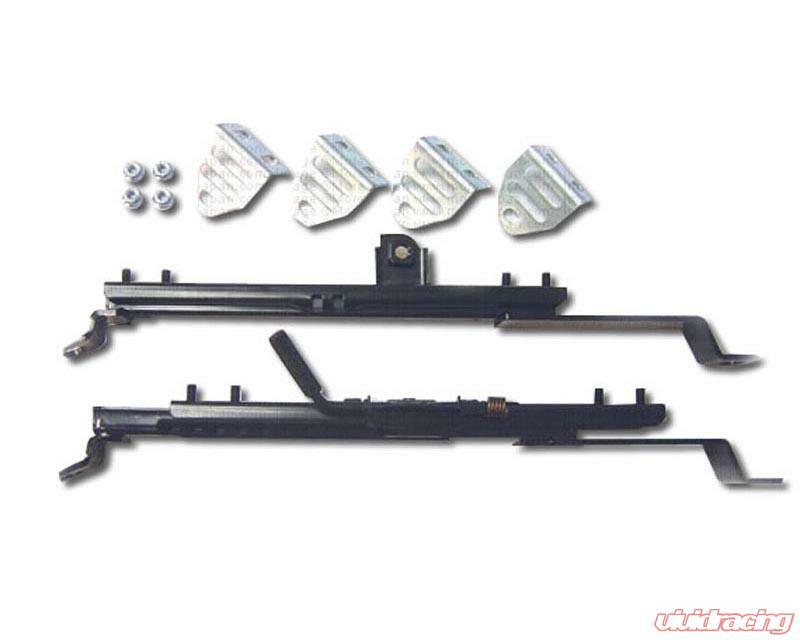 Nagisa Auto Super Low Seat Rail gives adjustment for lower position, OEM smooth slider, and will fit most standard size bucket seats. Slider uses roller bearings for ultra smooth slide adjustment. Universal fitment will fit standard size bucket seats. This seat rail has a very low profile and fits a variety of seats. This will not fit wide seats. Something to take into consideration these seat rail is for use with racing bucket seats. Additional noises, vibrations and slight movements of the seat while using this rail is normal, and will not detract from the rails ability to properly hold the seat. Application: (Recaro SPG/SPG3, Sparco Corsa-Rev2, Bride). Nagisa Auto is quickly gaining fame and popularity for their highly custom suspension and chassis parts. Using their custom parts, they hold the super lap (time attack) record at many tracks, and conquered many manufacturers and professional race teams that are many times larger that were seemingly undefeatable. Nagisa Auto is one of Japan's rising stars.